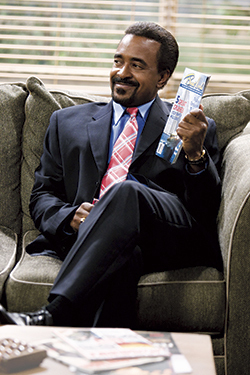 When the delightfully upbeat family sitcom The Bill Engvall Show returns to cable’s TBS for its second season this month, Tim Meadows will reprise his role as Paul DuFrayne, best friend since high school of Engvall’s character, Denver-area family counselor Bill Pearson. This is not an unfamiliar role for Highland Park-born Meadows. In February’s big-screen basketball farce Semi-Pro, filmed in part in Detroit and Flint, Meadows played Cornelius Banks, lifelong buddy of Flint Tropics player-owner Jackie Moon (Will Ferrell) whose comradeship is rewarded with a gunshot to the arm. (“Hey,” Meadows defends, “I thought that scene was pretty funny.”) In 2007’s Walk Hard: The Dewey Cox Story, he was Sam, the hip musician chum who introduces naïve singer Dewey (John C. Reilly) to marijuana and other drugs. Yet it was the bosom buddies he made during his most memorable gig, nine and a half years as a cast regular on Saturday Night Live (a record for continuous service on the late-night series until Darrell Hammond broke the mark), that have sustained him during the frenetic ups and downs of a comedic entertainer’s career. His SNL tenure featured withering, spot-on impressions of African-American celebrities from Sammy Davis Jr. to Oprah Winfrey and original sketch characters topped by Leon Phelps, the smarmy DJ self-proclaimed “The Ladies’ Man” that spun off into a 2000 feature film. “I could have stayed forever, but I knew I had to go,” Meadows says of the show. “I didn’t want to wear out my welcome. After leaving Saturday Night Live in 2000, Meadows moved to Los Angeles and quickly landed a regular role on The Michael Richards Show — a can’t-miss job alongside the ex-Seinfeld stalwart, until NBC canceled it weeks later. 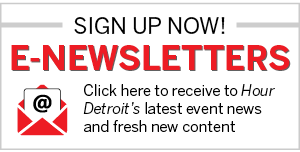 Dropping out of Wayne State after two years studying radio-TV broadcasting, he joined an improvisational comedy troupe at the old Soup Kitchen Saloon in Detroit as a steppingstone to Chicago’s Second City, where he wrote stage productions with the late Chris Farley. Now a divorced father of two sons, 7-year-old Isaiah (named for Isiah Thomas) and Julian, 5, Meadows also can be seen as a frequent guest on The Colbert Report and The Late Late Show With Craig Ferguson. He’s fresh back from New Zealand, where he completed a new “kids sci-fi, alien invasion-type” movie called They Came From Upstairs. The movie is set in Michigan, which should give pause to the backers of the state’s new film-incentives bill.